Lua error in मोड्युल:Location_map at line 485: Unable to find the specified location map definition: "Module:Location map/data/India West Bengal" does not exist. 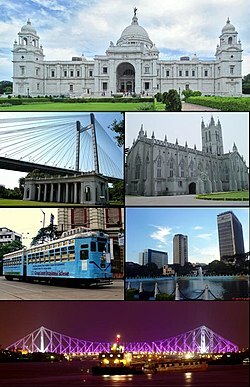 ↑ The Kolkata metropolitan area also includes portions of North 24 Parganas, South 24 Parganas, Howrah, Nadia, and Hooghly districts. See: Urban structure. ↑ ७.० ७.१ Script error: The module returned a nil value. It is supposed to return an export table.